The annual “Fun Day” for the Boston Terrier meetup was quite a success. 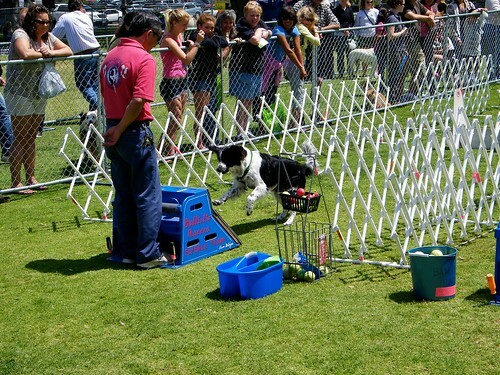 It was held April 24th at the Hidden Valley Obedience Club in Escondido. A full field of mainly black and white Bostons dominated the grounds. There were a few red and brown terriers mixed in, along with other breeds from the flyball team. 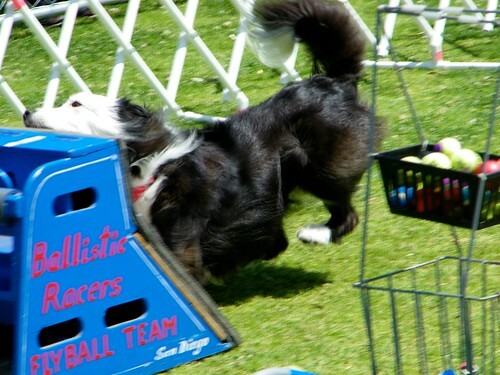 Ballistic Racers Flyball Team demonstrated the sport of flyball with large, medium and small dogs. The demos were held between the festivities which included raffles, costume competitions, and games. One of the Boston owners was the D.J. and did a great job at announcing the events, winners, raffle prizes and flyball demonstrations. 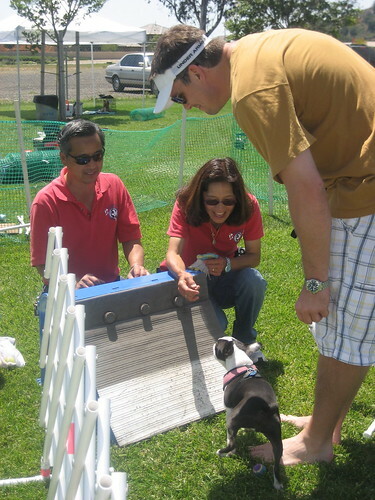 Boston Terriers make very good flyball dogs with their speed, size, and athletic ability. 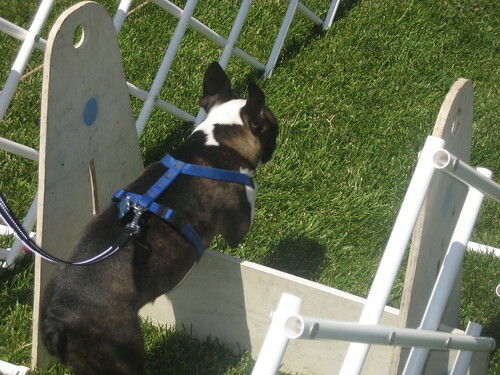 Some of the Bostons gave flyball a try, and were very successful. It was a day of enjoyment with food, friends, and man’s best friend. Everyone ate hotdogs, enjoyed the Boston Terrier Festivities, and participated in the activities. With one of the warmest days of spring, it was a fun day for all! On Saturday April 10th 2010, a crowd of more than three thousand people and hundreds of dogs converged on San Diego’s beautiful Balboa Park. They were all there for the annual Woofstock Celebration. Woofstock is an event put on by Canine Companions for Independence (CCI), to benefit people in need of service dogs. It was a day of celebration for you and your dog, with things to buy, things to do, and things to watch. 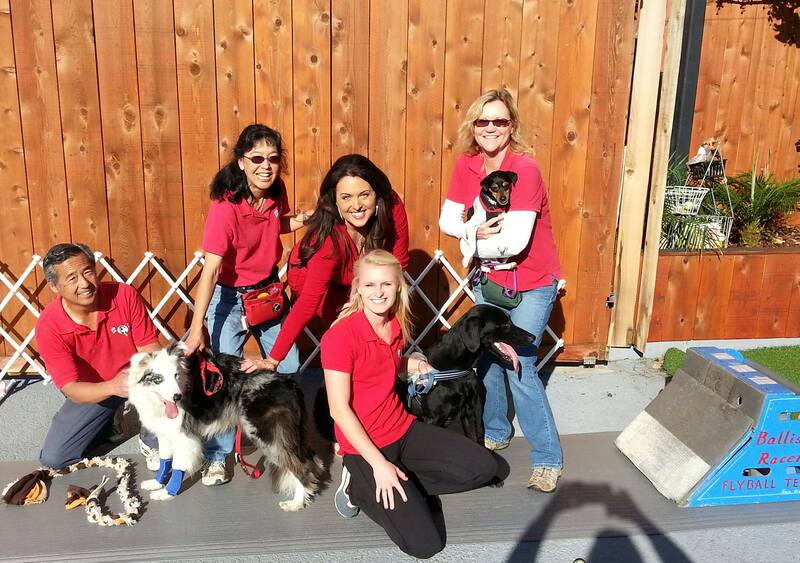 A five mile dog walk started the event off in scenic Balboa Park. Ballistic Racers Flyball Team put on several demonstrations of Flyball and also let the public try their dogs on the course. It was a great day for all since there were over thirty vendors of dog items, people food, contests, and of course the demonstrations of Flyball, Disc Dogs, and Agility at the K-9 playground. Woofstock has become a huge dog event, and everybody looks forward to it each year. 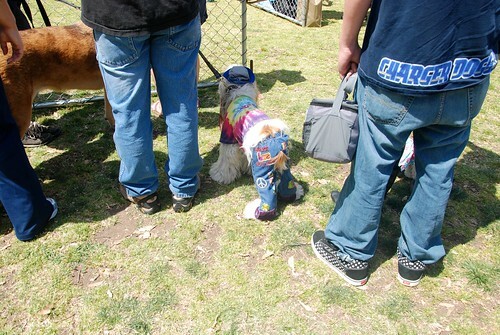 Be sure to watch for the 2011 edition of Woofstock next April!